Tune your 1979-98 Mustang for the optimum launch with these Maximum Motorsports Adjustable Rear Lower Control Arms from Late Model Restoration! 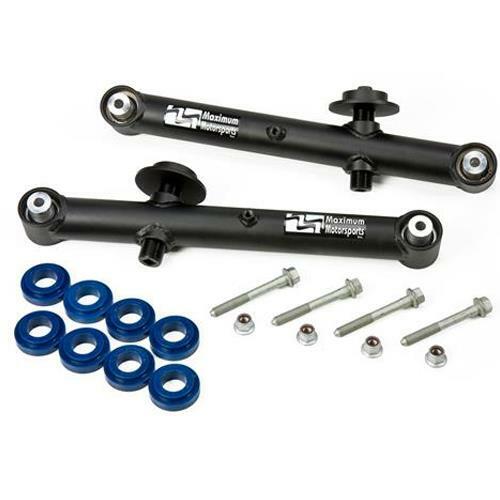 Give your 1979-1998 Mustang's suspension a major upgrade by adding a set of these adjustable rear lower control arms from Maximum Motorsports! These Drag race control arms are intended for Mustang's with a power level exceeding the 600rwhp rating of MM's curved adjustable control arms. The straight tube of these control arms was designed for launching a 3,800 lb Mustang cutting a 60-foot time as quick as 1.20 seconds. That rating is for a standard 4-link suspension. If you Mustang is equipped with a torque-arm, the loads on the rear lower control arms are much lower, and therefore he MM Drag Race control arms can handle even more than 1,000 t-lb of torque at the rear wheels. These control arms are adjustable, meaning that you have the power to change your Mustang's instant center location to tune the anti-squat percentage for optimum traction. These control arms are equipped with large spherical bushings at both ends of the control arms to completely eliminate unwanted deflection, while allowing proper articulation of the suspension. - These are intended for drag racing only! These control arms do not have provision for rear sway bar. Removal of sway bar can cause unwanted body roll in daily driving situations.. Maximum Motorsports is well respected as a leading developer of suspension systems and performance parts for your Mustang or Lightning. Established in 1992, the team at MM has spent countless hours researching and developing the highest quality suspension components for 1979-Present Mustangs and 1993-Present SVT Lightnings. 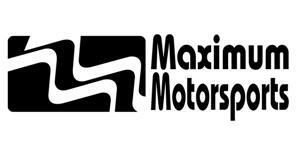 Maximum Motorsports has strived to produce lightweight, direct replacement suspension parts to get your vehicle handling, launching, and cornering better than ever. Shop LatemodelRestoration.com for performance panhard bars, k-members, subframe connectors, steering racks, caster/camber plates. chassis braces, control arms, roll bars, wheel spacers, and other tubular suspension parts. 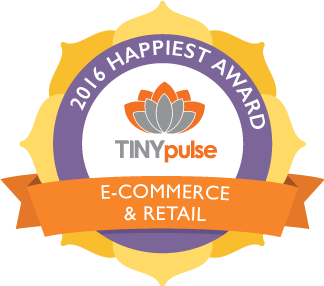 Email Me When It's Back In Stock! Email Me When It Arrives! Please make sure to hold your device horizontally (like a camera) rather than vertical (like a phone). By uploading an image, you agree to give LMR.com ® permission to use it in future advertisements and promotions. Note: Images should be less than 4MB.